You Are Here Home » Review & Giveaway » Beauty & Fashion » Want a Luxe Box? You can be lucky & have one! Want a Luxe Box? You can be lucky & have one! The month of December was a busy one with presents being given to all of those we love. 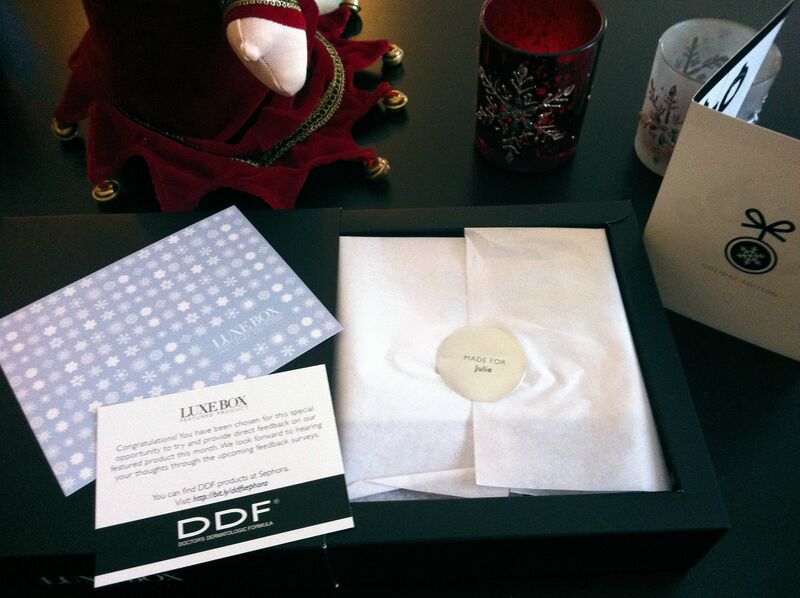 I received a few amazing gifts, one of which was this beautiful Luxe Box which Loose Button sent me. I have written about Loose Button’s Luxe Box service before, in a nutshell it’s 5-6 deluxe beauty samples delivered to your door monthly for $12. It allows you to try out products before you invest in the full size retail version. December’s Luxe Box had a festive flair to it, they’ve used white tissue paper, a snowflake themed holiday card and a silver personalized sticker. It was nice to get a gift just for me and although I already received the Keratase in October the other products were new to me and the lashes made up for the duplicate! Good news folks, if you’ve been considering using Luxe Box I’m giving one away to one lucky Canadian reader! Enter using the form below, winner will be chosen on January 11th, 20112. I would love to win a luxe box. I find the options of boxes so overwhelming, everytime I think i know which one i want (luxe box, topbox etc) I get someone else saying “no try this one”. I have spent the last 4 months trying to figure out what to try first! This would be a great way to make my mind up! I love trying new products, but never know what to get. Having samples like this would be a great way for me to find new products without putting out so much cash up front. I would love to try a LuxeBox because I love trying out samples of high end products. Living in a small town really limits what you can get, lol! I have never tried anything from luxe and would love to try it! I am not a huge make up wearer but would like to start looking nice when I go out. I’d love to try out the different products and see if there’s something i really like. These boxes have burst out onto beauty scene. I’m a cautious consumer as I don’t wear a lot of makeup. I like the variety and the surprises in each box. Luxe Box seems as if it would be great way to be introduced to new products I wouldn’t otherwise be exposed to. Thanks for this giveaway opportunity! I would love to win a Luxe Box. The concept seems so interesting to me. And I have heard that the products within are excellent! I’d like to try a Luxe Box because I’ve never heard of it before! What a lovely idea! New mama not feeling very luxe at all here. I would like to win so I could try out the samples of these high end products that I wouldn’t normally be able to buy. That sounds wonderful! I am not a product junkie but would love something like this! I’m a try it out and report to friends junky! If a friend is looking into a nw product they usually ask me because I LOVE trying new stuff and being the guinea pig! Many years ago, I belonged to the “World of Beauty” club. Receiving those packages every month and having the opportunity to try new beauty products was definitely the highlight of the month ! Would love the opportunity to experience that excitement 30 years later ! I would love to win because i love love makeup and beauty products and trying new ones! I keep hearing about these Luxe Box and I’d love to win one to see what they are all about! I would love to win this so I can try out different brands before I buy them,what a great idea! It would be a nice “me” indulgence after all the shopping, wrapping, baking and card writing… and just before the school routine starts all over again! I love getting free samples and little gifts. THis combines the best of both! I just love free stuff. And high end girly stuff is even better. I love to be surprised and all things girly, so this would be a nice treat for me! I’d like to win because I love finding new products that sometimes become my favorites. I would love to win so I can try different products i don’t know. I have heard of the Luxe Box before and have never ordered it. The price seems pretty reasonable on a monthly basis, so even if I don’t win I just might start ordering it. The products are all top of the line so I hope I win. I’d love to win a Luxe box to try different high quality brands. I hate buying a full size product only to discover I don’t like it or it doesn’t work for me. Trying these deluxe samples would be a perfect way to explore new products before purchasing the full size. I’ve heard so much about this service that I would love to try it for myself! II love the Luxe products because of their high quality. I have not tried these so it would be great. It’s not often that I take time to take care of me or try new products so I would love a Luxe box just for me! This is the box everyone is talking about, I am so envious & I really wanna win it, cause I love Lux girly stuff so much. I would love to win this & share it with a great galpal. Also think you have a great blog; brave of you to share your life’s trials & tribulations. A few of my loved ones are dealing with alcoholism & I understand it all too well. Have stopped being an enabler & learned to be a supporter without taking things too personally. I would love to win a Luxe Box! I have heard only good things about this program. I would love to win this! I’m a product junkie but can’t afford to always splurge on a full sized product before trying it out. What a great way to sample new products! I’d love to win one of these – hate having to spend money on things that I may not even like! 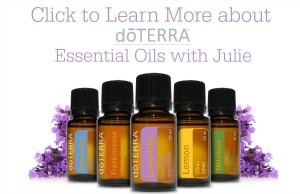 I would love the chance to try a bunch of new products without having to spend the bog bucks!! Wow very generous of you Julie! I’d LOVE to win! It would be awesome to glam up with fantastic products like these instead of my sisters cast off’s lol! Cheers again and Happy New Year! I want to win because I like to try out new products !! I want to win because I’m very interested in these monthly beauty subscriptions but can’t decide which one to join. Winning would allow me to test out Luxebox before buying. This looks fantastic! 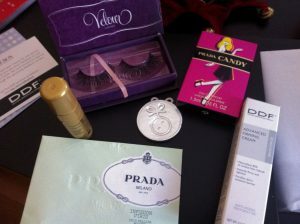 I know that I love the Prada “Candy” already but I need the firming cream more ! Because Luxe Boxes are AH-MAZING! I love samples & trying out new products! I’d love to win because I LOVE makeup! I have extremely sensitive skin, and suffer from trying to reduce the appearance of wrinkles while not causing acne. It’s very frustrating. As a result I end up throwing away a lot of products (and money) that don’t work with my skin. This would be a great way to try out some new products worry-free. Thanks – and Happy New Year. I would like to win the Luxe Box because I would like to try the products. I could certainly use some treats! I spend 10 hours a week doing volunteer work and could use some treats for myself. I love pretty things, and this box is a pretty thing! I’d like to try LuxeBox because I love to try before I buy and would love to try the items in this box. I love the idea of trying out top brands at a reduced price. I would love to win this because I love to try new perfumes ,creams and makeup! Thanks for the awesome giveaway! I want to win because I love to try out different samples! I would like to win this LUXE box because I like to try new things. :-) Awesome stuff that is the latest and greatest. I would love to get the Luxe box and try out all the samples inside – who said Christmas only comes once a year? HEE! I would like to see one of these boxes in person! I love the whole idea – and it is packaged soo pretty! I would like to win to try new products that I do not have. new too. thanks for the great giveaway too. There are so many higher end products I would love to try, but normally cannot afford so it would be great just to sample some! I’ve seen Luxe Box advertised a lot lately, and I think it would be so lovely to get a box full of surprises in the mail. Of sweet “girly” products to try. It would be nice for a change to get something for myself that was pampering. It would be nice to win the Luxe Box because, quite frankly, I am unemployed and will be without the funds to buy myself one for quite a while. I love little surprises! And they do it so nicely! that box is amazing! i want to win one to try all the new products! It would be a great way to sample products while finally getting to pamper myself for a change!!! You have gotten me curious! would love to find out more, Thanks for the chance! I love trying new products! The idea of having a small amount to sample before purchasing the item is fantastic. Because it would be the only nice thing I got for Christmas that I didn’t have to pay for. I’d enjoy winning a Luxe Box because it would be an interesting and fun thing to experience with my teenage daughters!!! Thanks for the giveaway!!! I have a blog that shares tips about products for women with women and this would be great! I want to try out beauty products I only wish I could afford. Would love to win a Luxe Box!! Would love to win because I am looking for a makeover as I have not really done the makeup thing for a long time but decided to get back to taking the time to make myself look good. This would help so much because I really don’t have makeup to do this and being able to try different things would be great!!! What a great idea the Luxe Box is! I’d never heard about it before today! I’d love to try out some products before you invest in the full product – I’ve bought endless products that end up in the trash because they weren’t what I wanted. Thanks for the giveaway! This would be something special for my wife – she never treats herself – Valentines day is coming! I I would love to win cause I know its a good product that you recommend. I would love to try some new amazing products! I’d love to win this, if only for the “Mink Eyelashes”…Sweet! I would like to win because we are on a strict budget and all of this is stuff I can’t work into it!! 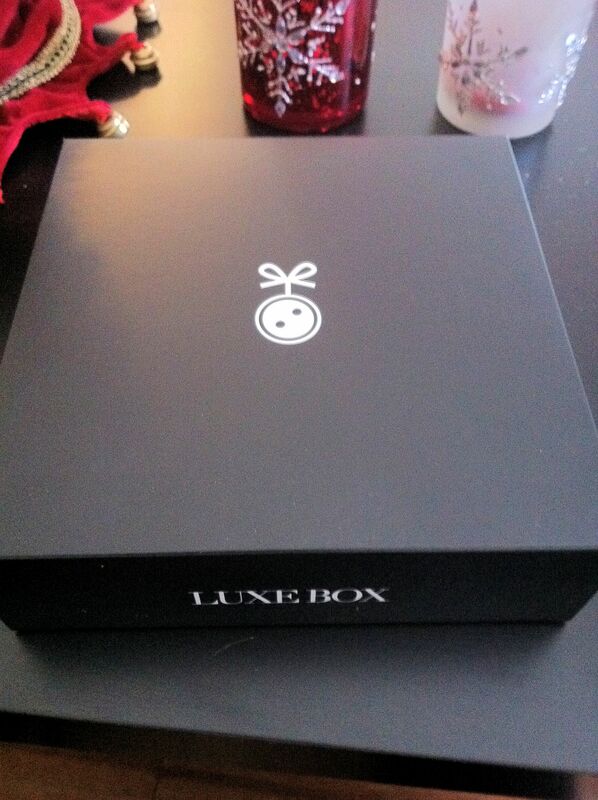 I’d love to give Luxe Box a try – I think their business model is so fun! I would love to get a Luxe Box to see them for myself! I bought a subscription for my sister, who lives in another city, so it’d be nice to have one for my own! I would love to win one because they offer high quality products that you get to test before you buy. That way you dont feel like you wasted all that money when something doesnt work out for you. I would love to win this. I’m definitely in need of a little pampering.